The recent cartoon controversy has tested America’s willingness to defend one of its constitutionally protected rights: the right to speak freely. In recent months, the Danish newspaper Jyllands-Posten published twelve cartoons depicting Mohammad and ridiculing the teachings of Islam. 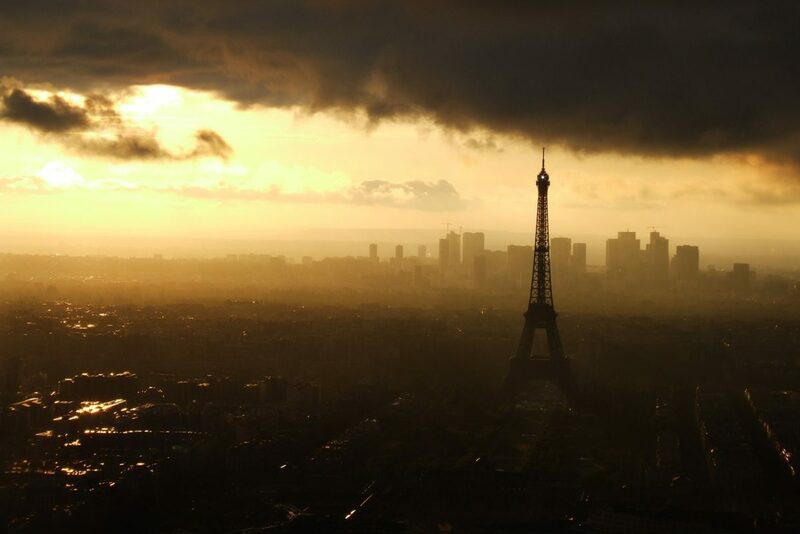 Islamic fundamentalists responded with violent protests, death threats, and demands for apology. In a valiant effort to express solidarity and support for the principle of free speech, other newspapers across Europe joined the crusade by republishing the cartoons. Sadly, American publications like The New York Times and The Washington Post succumbed to the religious sensitivities of Muslims and declined to proudly assert their rights.As ardent defenders of free speech, we at The Undercurrent wondered how campus publications were addressing this issue. We were thrilled to learn that the Daily Illini, the student newspaper at the University of Illinois, was first to reprint the controversial caricatures. 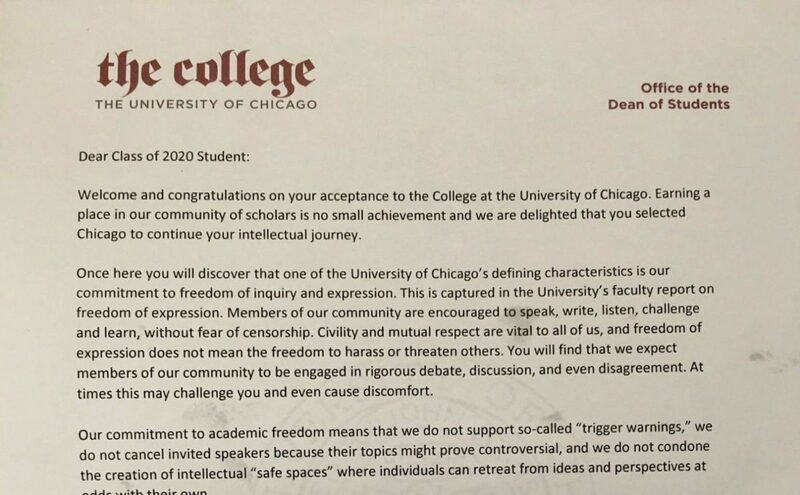 But like many Americans around the country, students and faculty at the U of I failed to understand the true nature of free speech–and thus failed to support the DI. What Sabir and campus associations euphemistically called “responsibility” is in fact the greatest threat to free speech in our present society. There is indeed a distinction between responsible and irresponsible use of freedom. The press has a constitutional and legal right to publish uncouth obscenity, but that does not necessarily mean that the decision to do so is moral. Critics such as Sabir associate the cartoons with precisely this kind of irresponsibility. What they refuse to consider is the fact that the cartoons are accurate representations of many adherents of Islam. What more proof do Americans need than the images of Muslims burning down the Danish embassy, killing innocent victims, and publicly chanting death threats to America and her supporters? Truth is “offensive” only to those who refuse to accept it because of their blind adherence to mystical doctrine. Because it is the primary responsibility of journalists to report the truth, it would be irresponsible not to publish them. Zook and Mohammed candidly support self-censorship, the notion that the right to think and express one’s ideas freely is subordinate to the sensitivities of the offended party. It is ultimately the sacrifice of one’s autonomous mind to the irrational demands of another. But just as man is not the slave of his brother, a publication is not the slave of its readership. This does not mean that a newspaper should publish anything and everything. The press can voluntarily choose not to publicize something, but the decision to do so or not should remain insensitive to the emotional demands of the public. If a reader finds something offensive, he has the option to avert his eyes. In essence, Shorish expresses the view that political correctness fosters a prosperous learning environment. But does “good learning” require students to surrender their reasoning minds and their right to freely express their thoughts in order to appease those potentially offended? Can a student learn the difference between right and wrong by holding the view that all cultures and ideologies merit equal treatment? How will Americans hold their heads up high and denounce their enemies if they are taught to tolerate everything and anything? Ideas such as those championed by Shorish have one purpose: to thwart the very process a University is meant to promote. Other newspapers refused to follow the DI‘s example. The Harvard Crimson justified their refusal to reprint on the grounds that it “would neither further inform the public nor the debate.” Similarly, the Chicago Maroon editorial board determined that reprinting was not necessary to fulfill their “primary responsibility…to provide news that adds to [their] community’s discourse.” What these commentators fail to realize is that the main purpose of free speech is to defend an individual’s right to express his thoughts independent of another’s desire to discuss them with him. Yet discourse cannot arise under the muzzle of a gun–one can only support the beleaguered Danish cartoonists, not attempt to initiate “discourse” with the thugs who terrorize them. Nor can rational discussion take place in an environment that subordinates an individual’s independent judgment to the “feelings” of those who follow religious doctrine. The Harvard Salient raised similar questions when they republished four of the Danish cartoons, claiming that they would not “[cater] to a sensitivity borne of fear of death that has plagued many would-be critics of radical Islam.” Below these were two “vile cartoons” representative of the kind published in “state-run newspapers throughout the Islamic Middle East.” The juxtaposition is clear: while Islamic fundamentalists can and do pillory their enemies, they do not respect others’ right to do the same. Why don’t Muslims denounce the Arab cartoons? Likewise, why don’t they protest the violence in Denmark? Their silence can be interpreted objectively to signify a tacit agreement with the critics of America and an implicit sanction of violence. As Dr. Wafa Sultan said in an interview published in The New York Times, Muslims “are hostages to [their] own beliefs and teachings.” Muslims do not protest violence because freedom of speech does not exist within Islamic dogma. They do not believe in free speech, but in self-censorship–as Khaleel Mohammed himself makes clear. Despite our enemies’ persistent attacks on free speech, we have not lost the war. Unwavering defenders of free speech are starting to fight at the forefront in this battle between East and West. The Undercurrent recently published a special cartoon flyer that has been distributed at major universities, such as Columbia, Yale, and the University of Chicago. 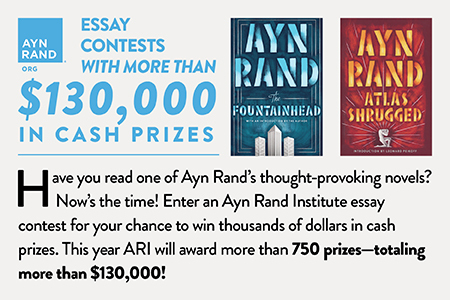 The Ayn Rand Institute also launched “a campaign to bring the Danish cartoons to the widest possible audience–and to arrange a series of lectures to discuss the vital need to defend free speech.” ARI has already participated in panel discussions at UCLA and Johns Hopkins University. 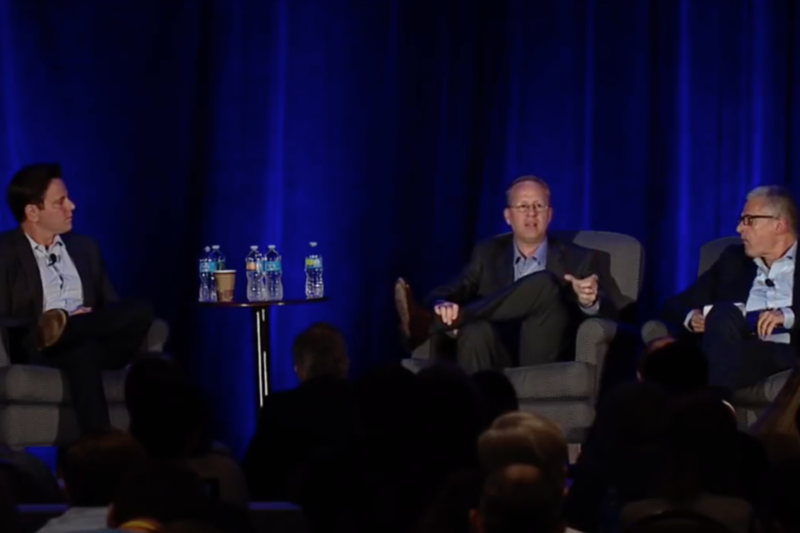 LOGIC, the Objectivist group at UCLA, hosted a civilized discussion between four panelists that took place in front of an audience of approximately 180 people. The JHU Objectivist Club decided to sponsor the discussion after they distributed a poster showing a Muhammad cartoon and a stamp reading “I too am Spartacus.” The club learned later that day that angry student groups had removed the posters without their consent. The list of freedom fighters is not limited to the Objectivists. Other campus newspapers published the cartoons after the Daily Illini took the initiative. Among these are publications such as Primary Source at Tufts University, the Northern Star at Northern Illinois University, and the California Patriot at UC Berkeley. Chicago Maroon writer Teresa Mia Bejan realizes that now is not a time for toleration: “To advocate censorship and issue apologies…sends a message to the world that the free press is somehow responsible for these atrocities, not the radical imams who stir up hate, or the violent mobs who murder.” For this reason, Americans must stand united in our battle to defend one of our most important founding principles: freedom of speech. 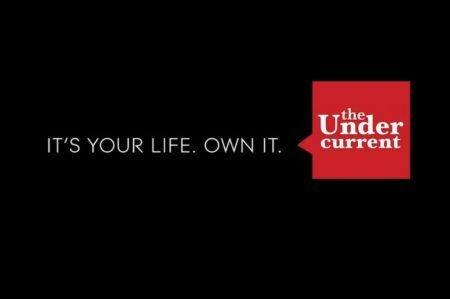 According to Hasan Ali, president of the Muslim Students’ Association at the University of Chicago: “You don’t fight fire with fire…You fight it with understanding.” We at The Undercurrent offer an alternative: fight fire with reason. Kelly Cadenas is a second year undergraduate at Harvard University where she currently pursues a degree in biochemistry.